2010 Stephen Vincent Crimson Red Blend | Wine Splash! We have always found the Stephen Vincent wines to be easy going and have good flavor and value. This wine follows suit with a provocative blend of Syrah, Petite Sirah, and Cabernet. In our glass, the Crimson has, well, a deep red crimson color. On the nose, enchanting aromas of dark berry, cassis, and even a hint of cinnamon spice! The mouthfeel is lush, full bodied, with warming tannins. Flavors of blackberry, plum, and spice arouses my palate! As the wine opened up a bit more, other flavors of ripe raspberry and toasty oak became more pronounced. The complex fruit and spices continues through to a clean finish. Pair this wine with medium to sharp cheeses, grilled red meats, pasta with a spicy tomato sauce, sausage, or a greek salad (with or without lamb). This is a wine that we would buy again and feel it does pair well with good foods. 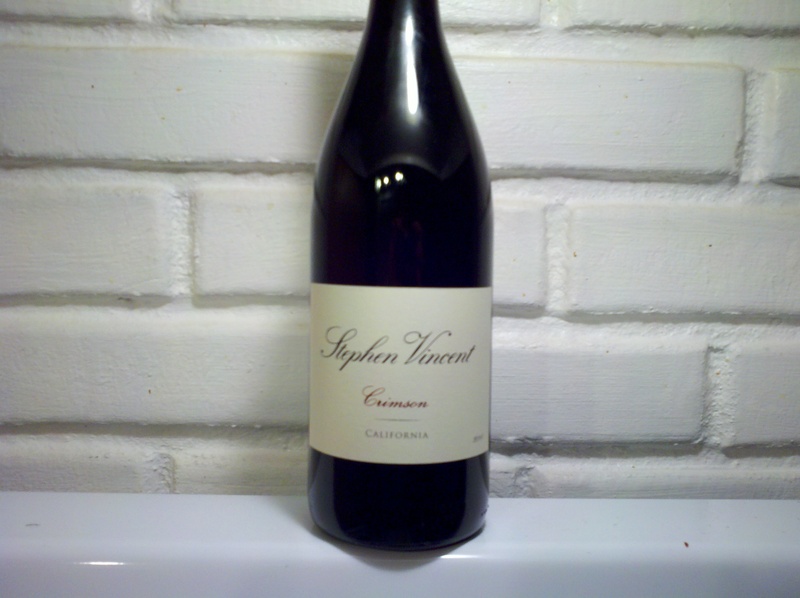 We did enjoy it and give the 2010 Stephen Vincent Crimson blend an 88 point rating! It has a good structure and nice balance between fruit and spices. If you have a 2010 vintage, we recommend to drink it within the next 18 months. WineSplashing! !